I was very impressed with the Metal Heart Keychain I received from Wholesale Keychain. The design was modern and much more elegant then I expected for the price you would pay. The Metal Heart Key chain retails for $6.99. For another $5.99 you can have it engraved with 3 lines and 11 characters per line. I got mine engraved with Sadie’s name(and V-day 2010). It is light weight yet big enough to swing at somebody harassing you in the parking lot. I always look for key chains that I can use as a weapon…I know…weird eh? I usually end up spending more then $12.98 and they never last long. This durable design feels like it will hold up to being thrown around from pocket to purse for a very long time. Other heart key chains are available. They include the Broken heart, Photo Frame, Crystal and Heart Key chain charm. You will want to check out this website as they a keychain for EVERYTHING!!! 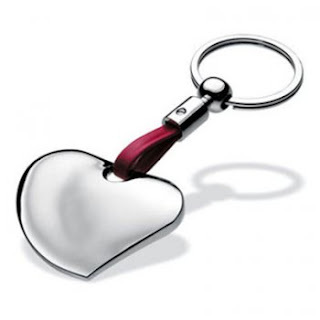 Wholesale Keychain is offering a 10% discount off your entire purchase with the coupon code vday2010. Offer expires February 16, 2010.